Every year, American tourists flock to Mexico’s beautiful beaches to soak up some rays and enjoy the roaring nightlife. 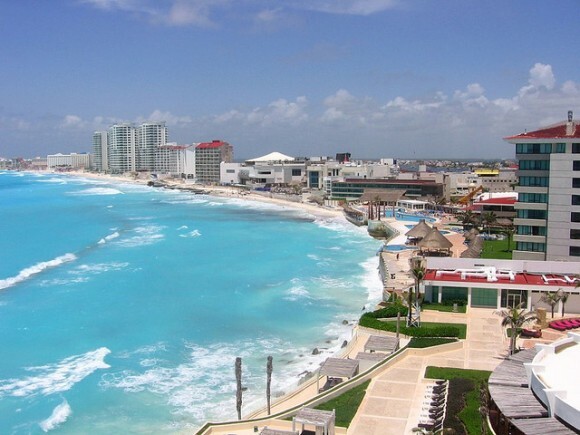 Probably the most popular beach destinations for tourists are on the Cancun and the Yucatan peninsula, which are renowned for their clear blue waters and white sand beaches. On the Pacific-side of Mexico, Acapulco continues to draw a high number of college students during spring break, while Los Cabos is an excellent spot to go fishing or to take up a new water sport. If you’re a history buff, you won’t want to pass up the opportunity to visit the well-preserved ruins of the Maya and Aztec Empires. Chichen Itza was the largest of the Maya cities in the Yucatan peninsula, with its most iconic landmark being the pyramid-temple El Castillo. The Maya ruins of Tulum are set against the beautiful beach backdrop of the Yucatan peninsula, making them a popular spot with tourists. The great city of Teotihuacán in central Mexico was once populated by 150,000, and houses two important architectural/religious landmarks: The Pyramid of the Moon and The Pyramid of the Sun. Plan to spend at least a few days exploring Mexico’s vibrant and historic cities on your trip. Take a walking tour of the historical center of Mexico City, then check out some of its finest museums and galleries. 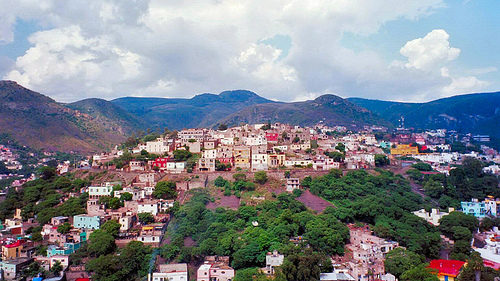 If you’re looking for colonial charm, spend a few days in the mountains visiting the colorful city of Guanajuato, which gained prominence as a silver mining town in the 16th century. Go to the city of Oaxaca for the country’s finest selection of handicrafts. While most American tourists do not experience problems in Mexico, there is growing concern about ongoing violence in the country. Keep yourself apprised of the latest events by reading the news or checking out the travel warnings on the U.S. Department of State website. Lock all valuables in the hotel safe before you go out each day, and exercise common sense in your interactions with strangers. Last but not least, only drink in moderation so that you remain keenly aware of your surroundings at all times. Ready to head south of the border? Sell your CDs back to musicMagpie to earn some extra cash to put toward your travel fund.